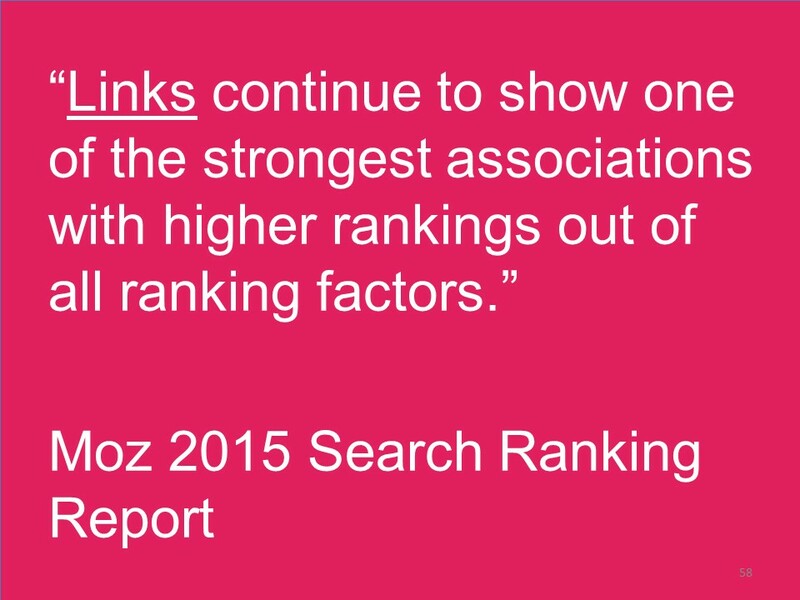 The aveage Top 10 ranking page is 2+ years old. 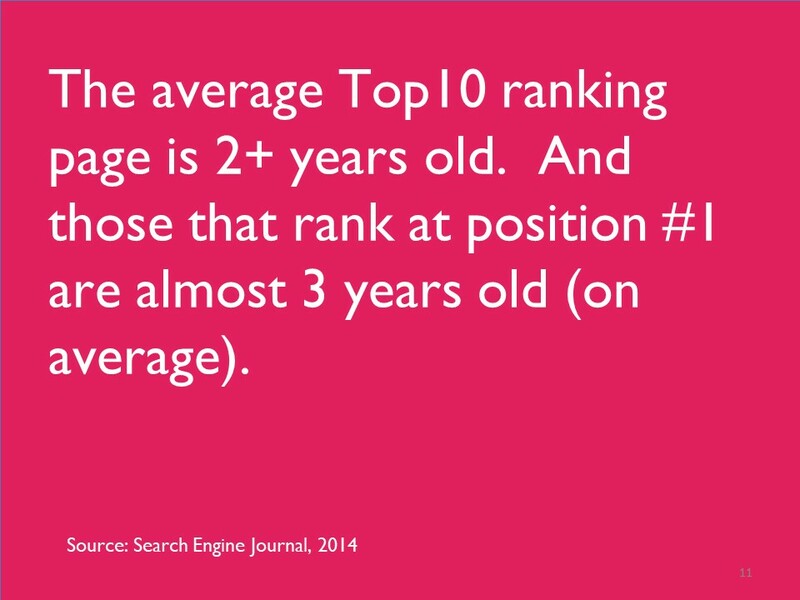 And those that rank at position #1 are almost 3 years old (on average). 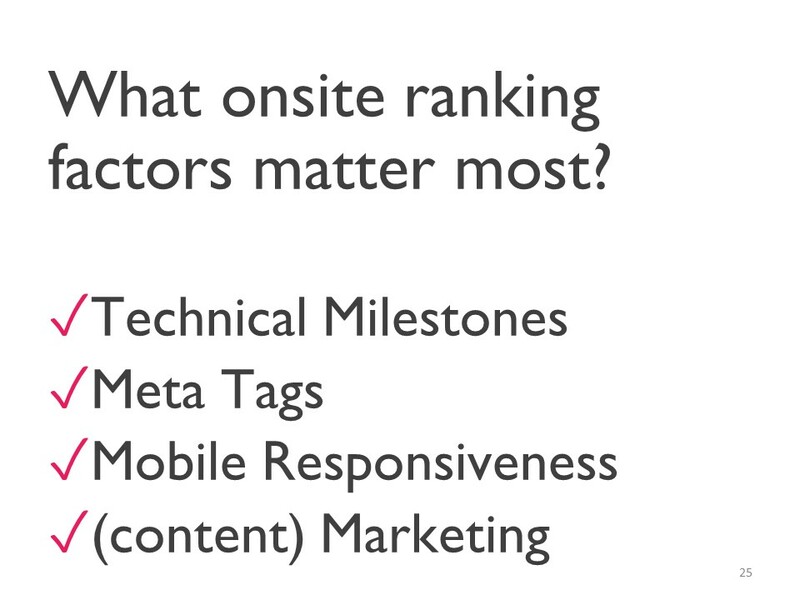 What onsite ranking factors matter most? 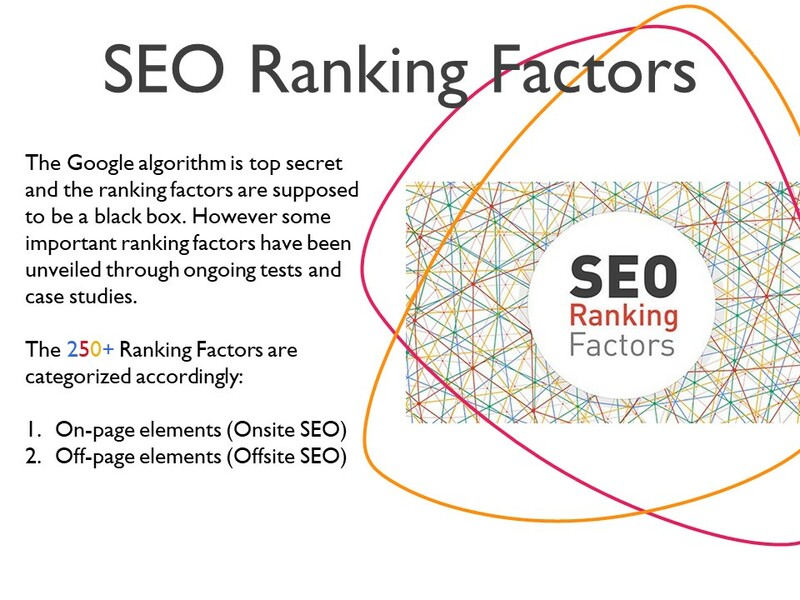 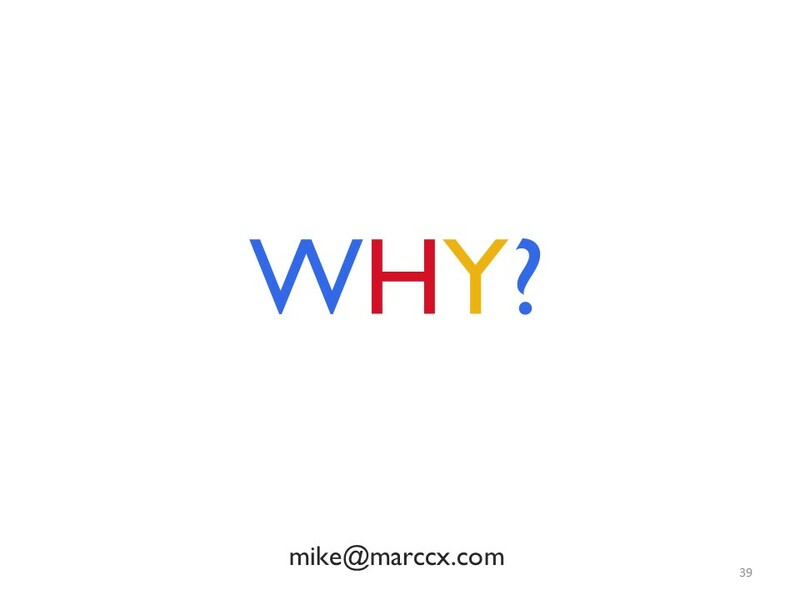 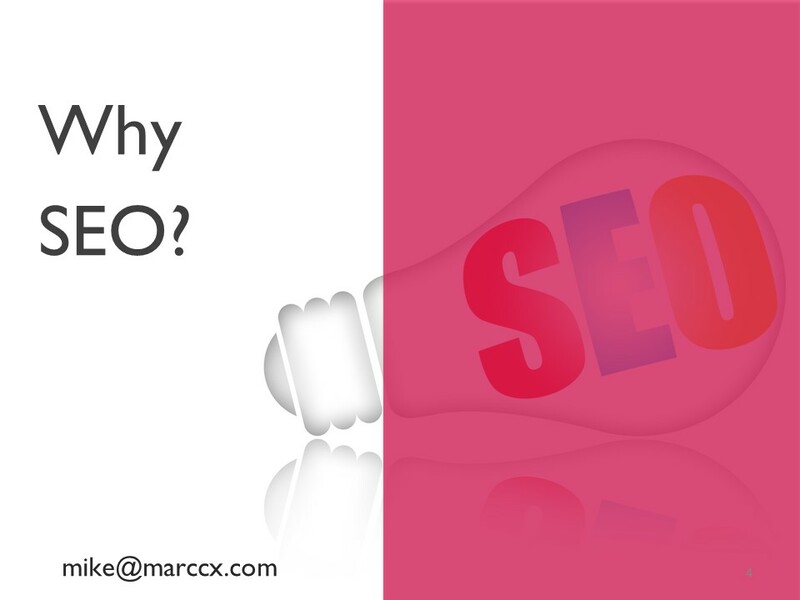 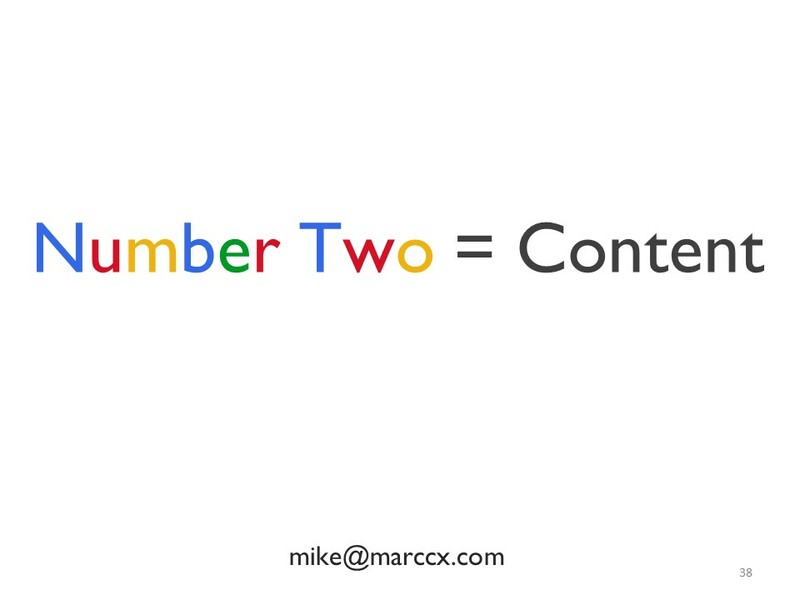 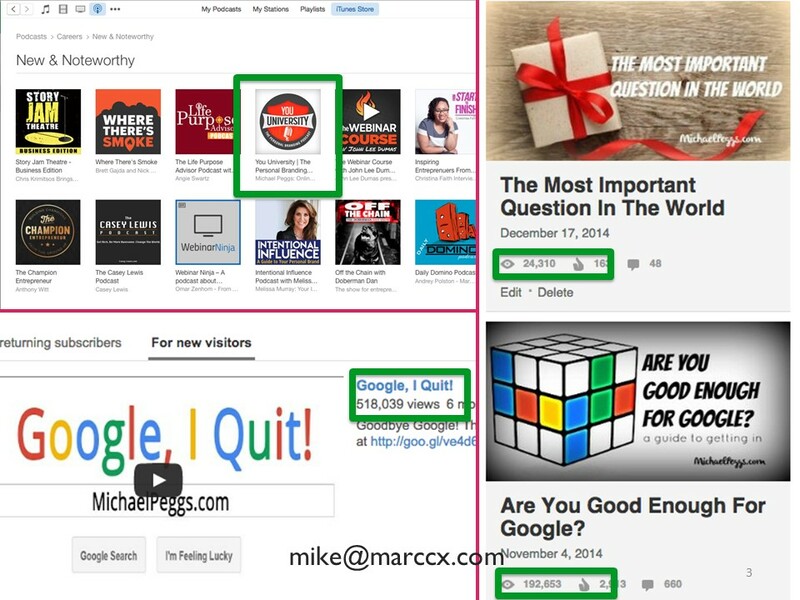 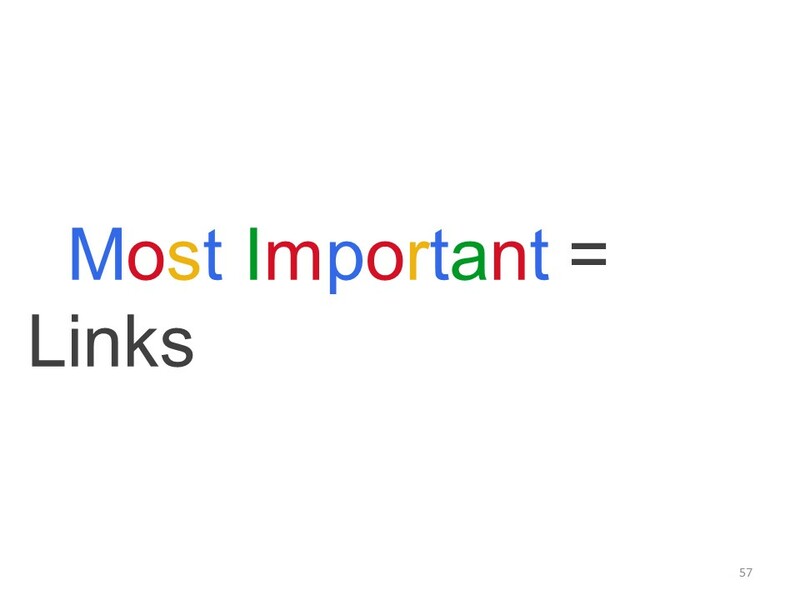 The Google algorithm is top secret and the ranking factors are supposed to be a black box. 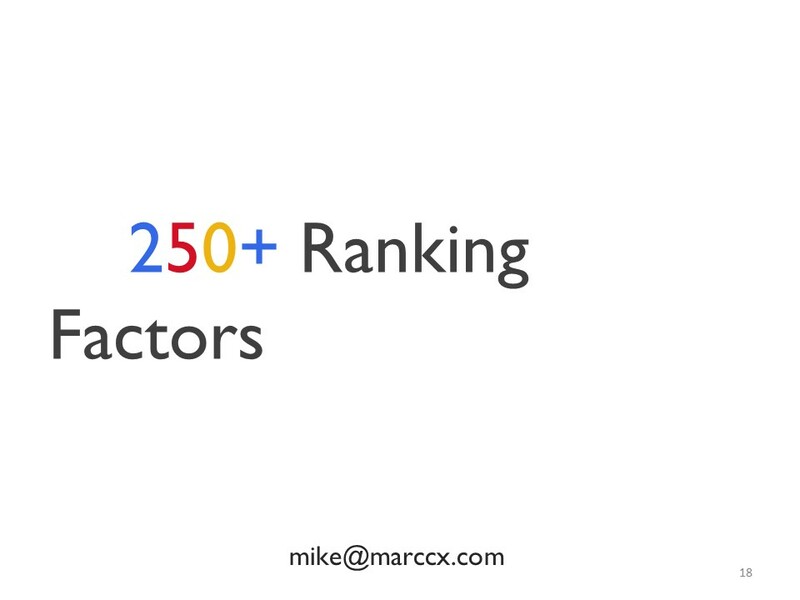 However some important ranking factors have been unveiled through ongoing tests and case studies. 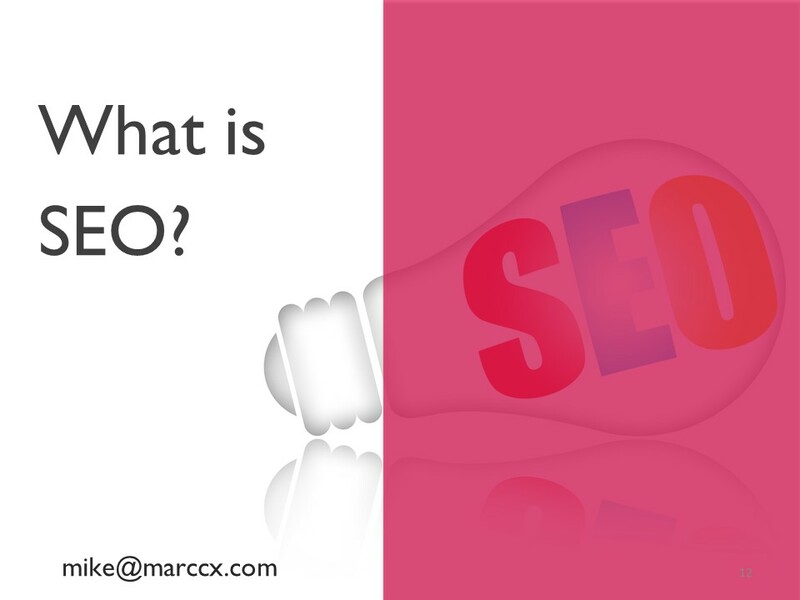 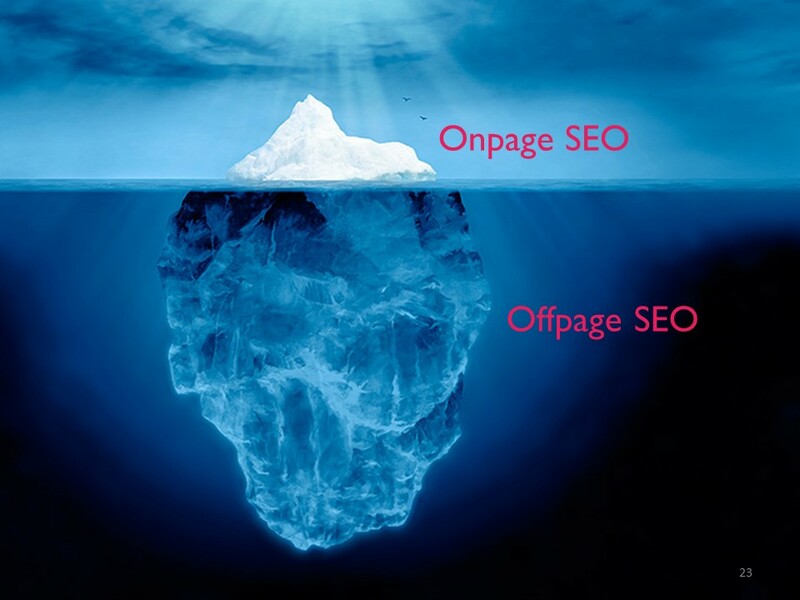 Picture Onpage SEO vs. Offpage SEO as the tip of the iceberg and the body hidden in the water. 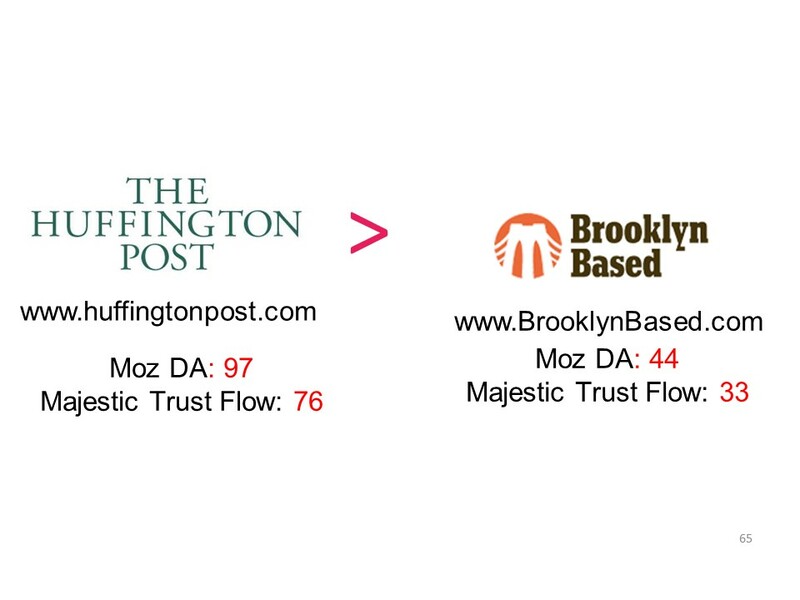 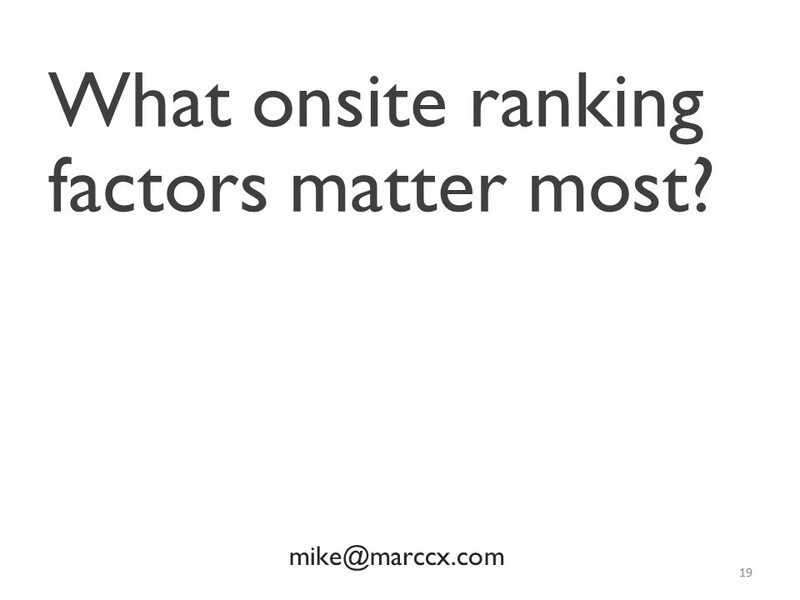 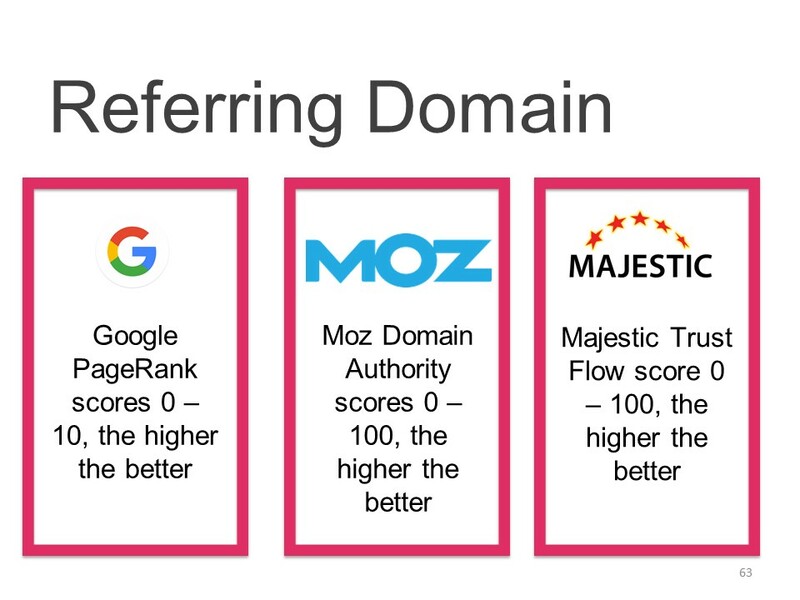 What onsite ranking factor matter most? 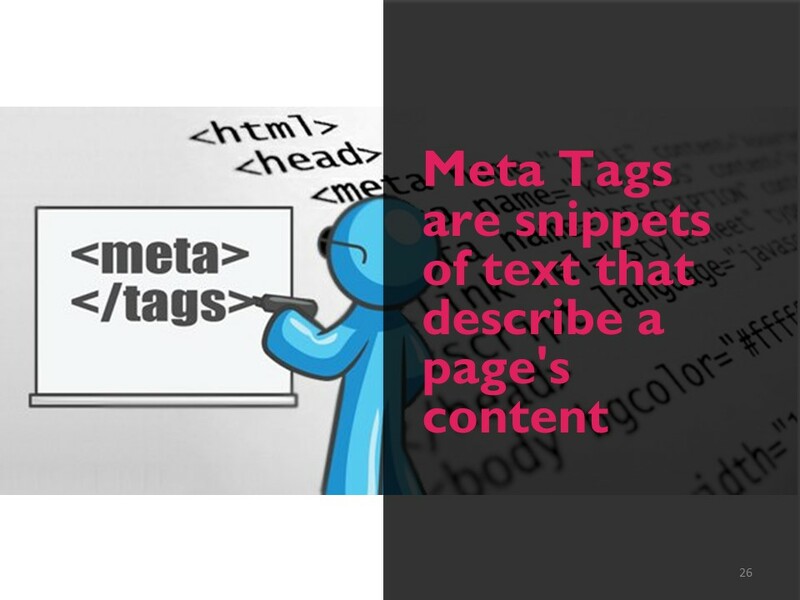 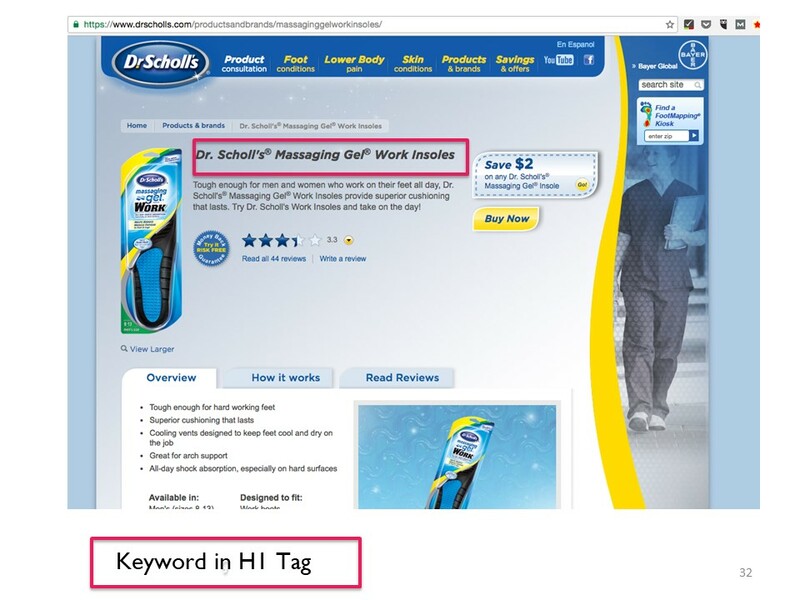 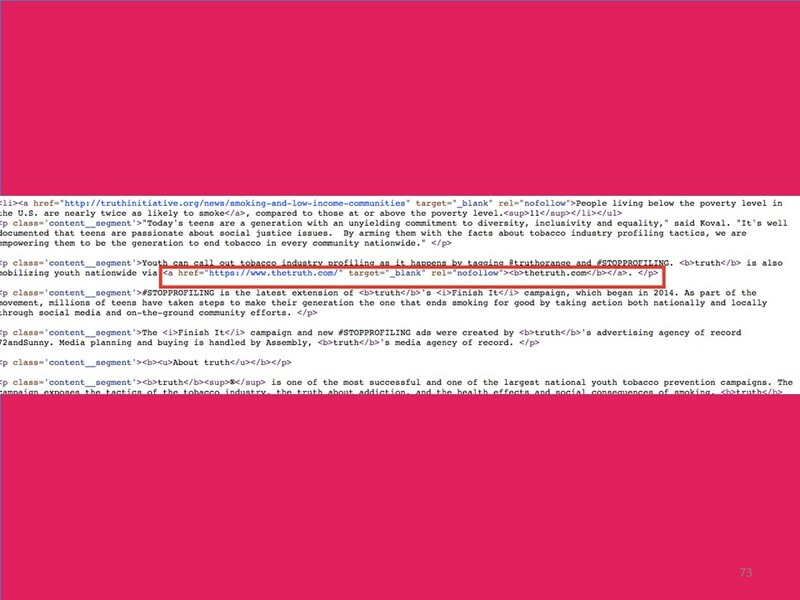 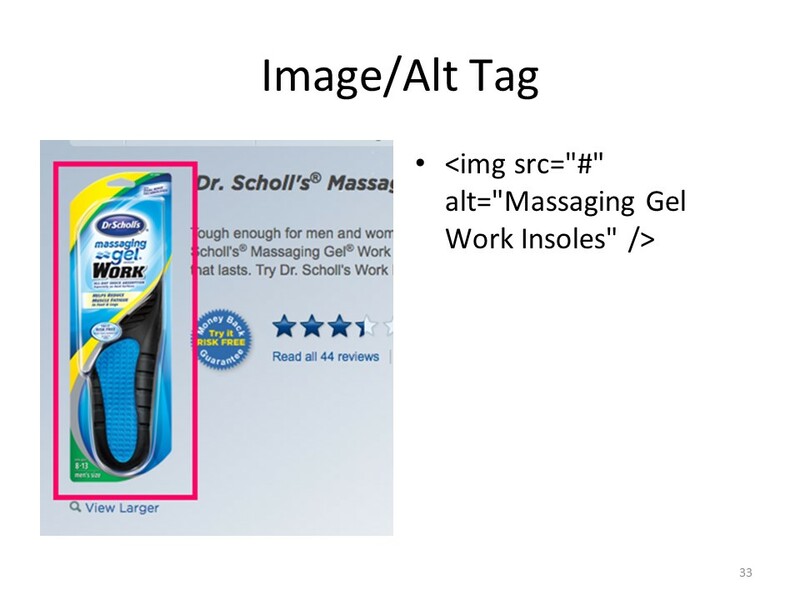 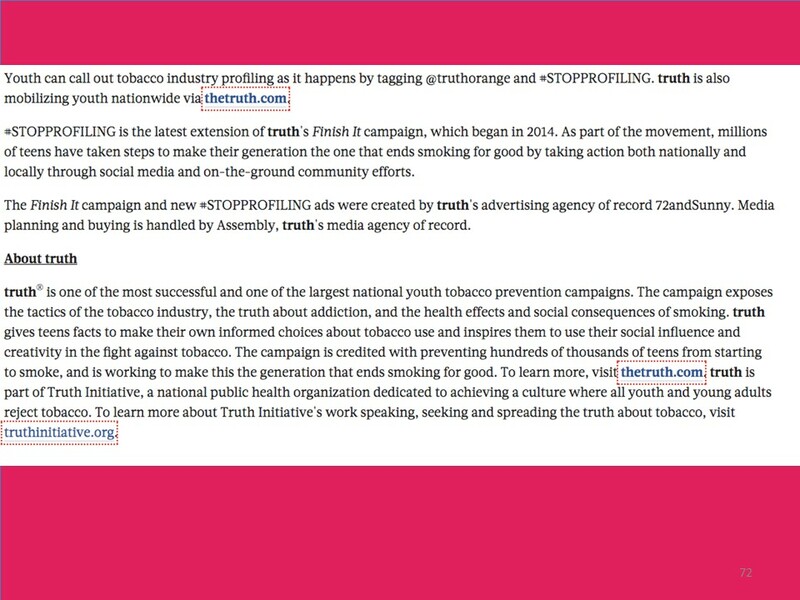 Types of Meta Tags include Title, Description, H1 and Image/Alt tags. 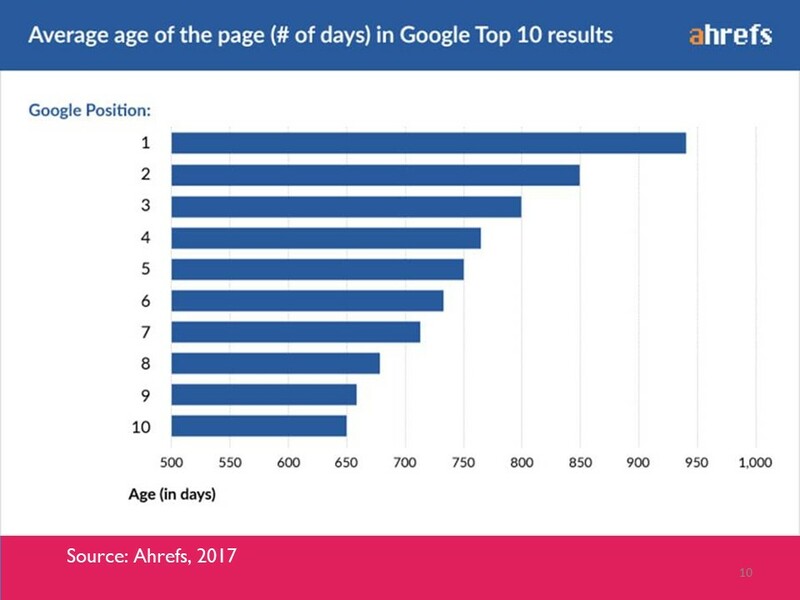 Loading time is a major factor in your SERP ranking; not to mention, your average mobile user won’t wait fro more than six seconds for a page to load. 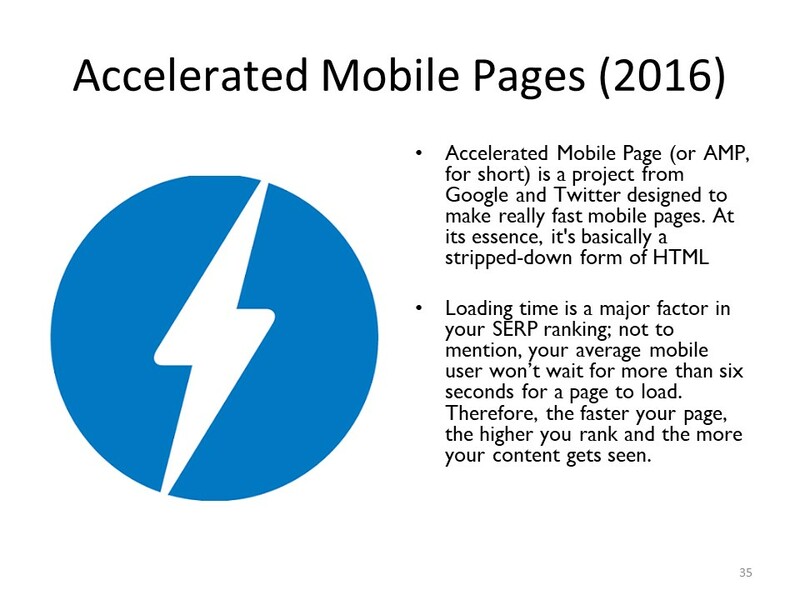 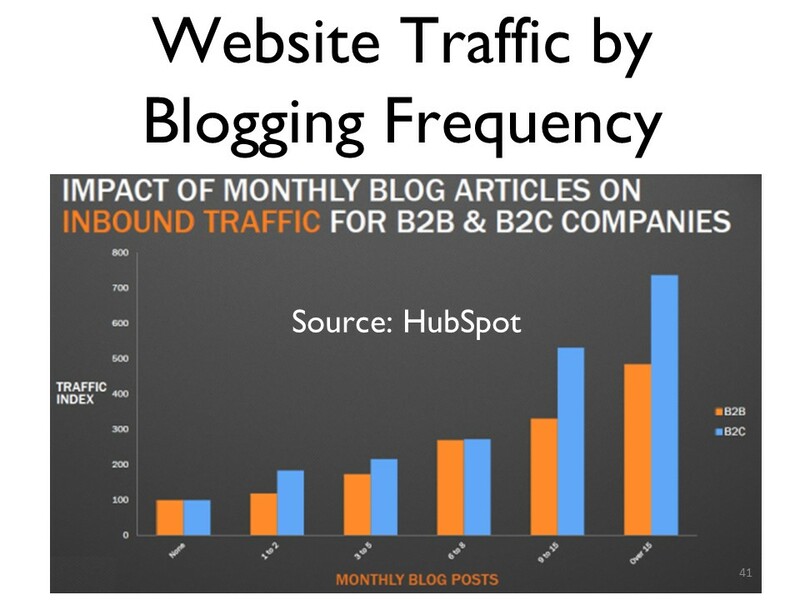 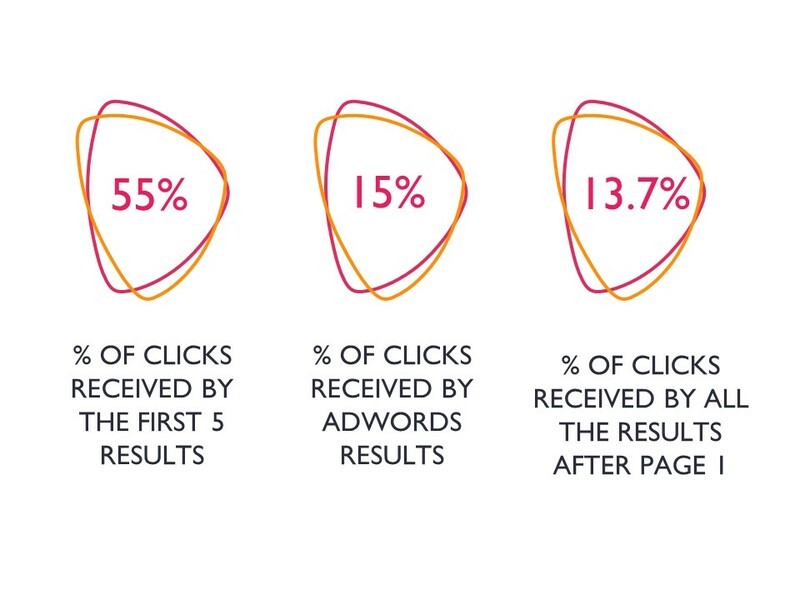 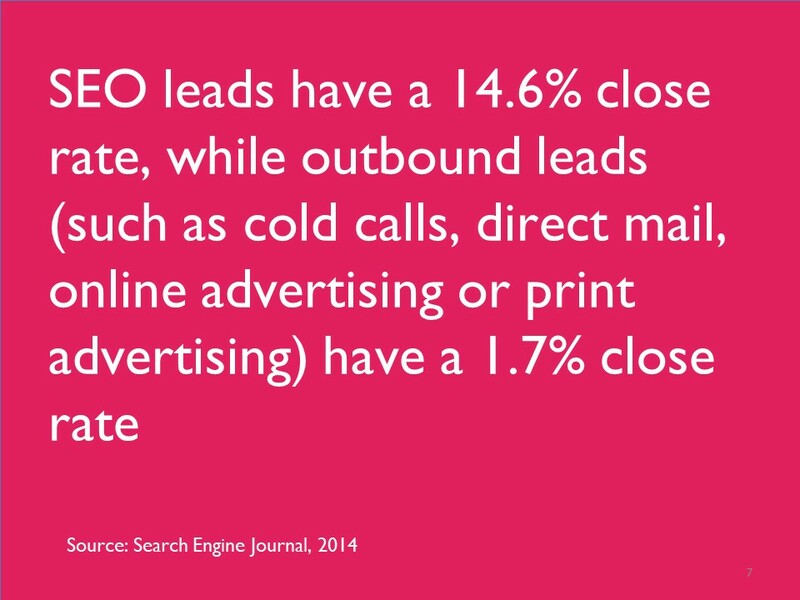 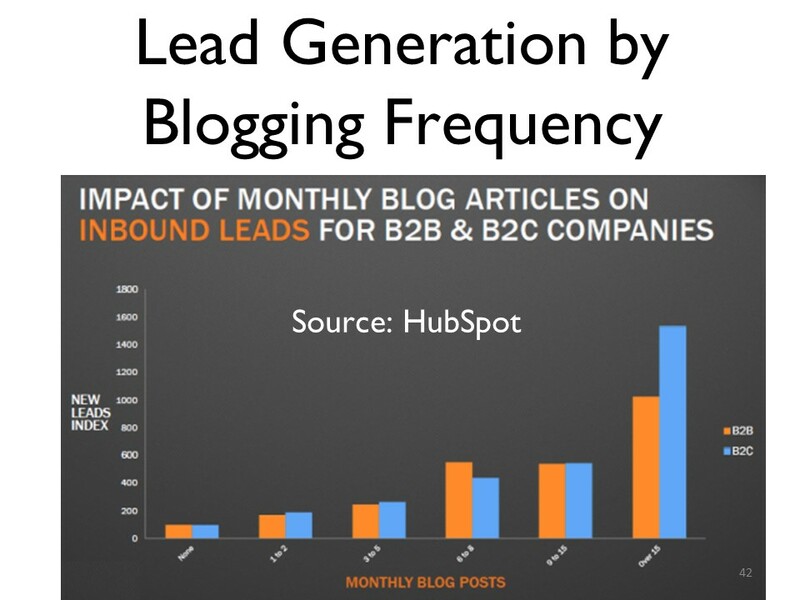 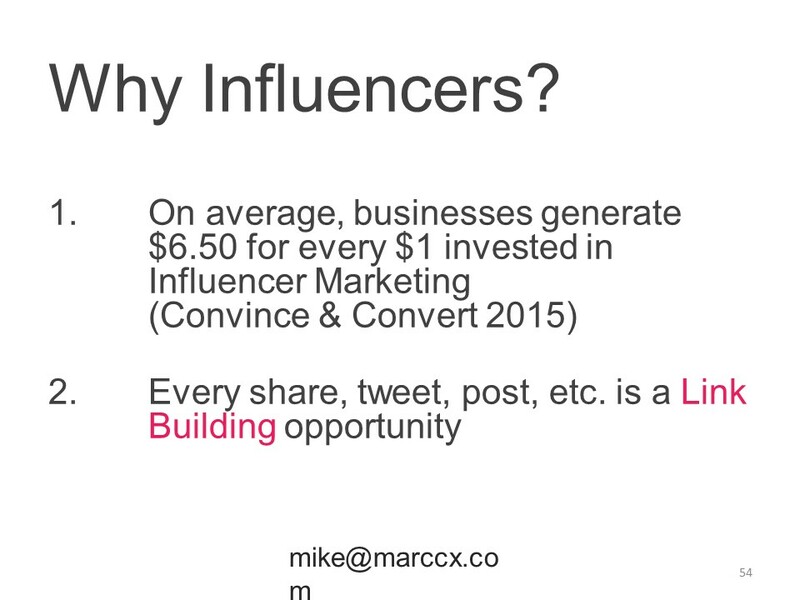 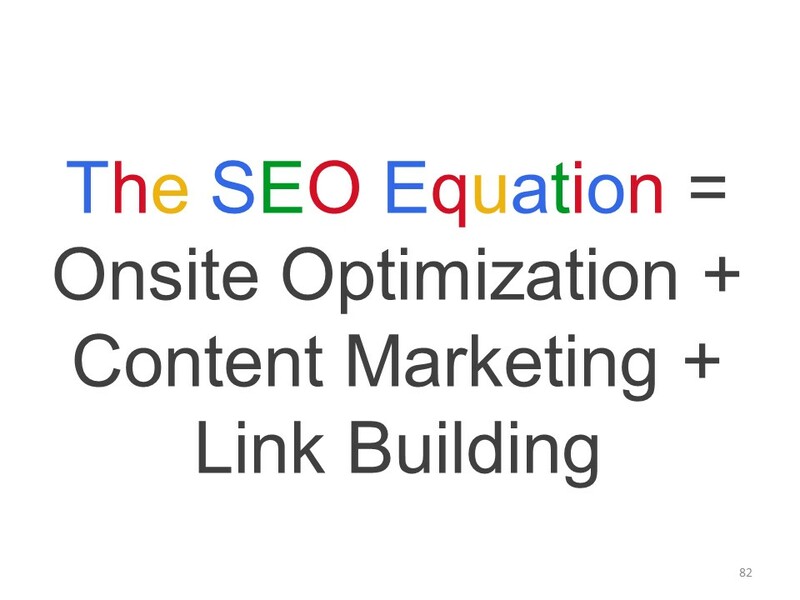 Therefore, the faster your page, the higher you rank and the more your content gets seen. 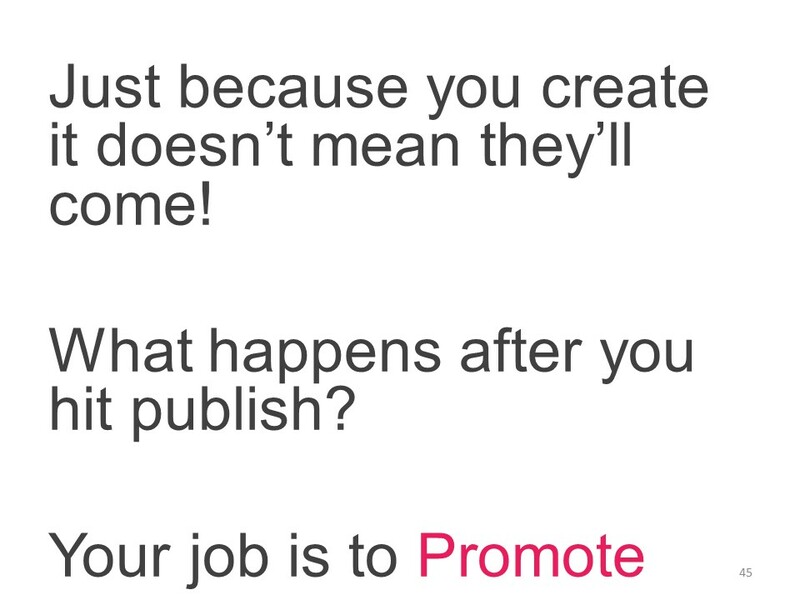 Just because you create it doesn’t mean they’ll come! 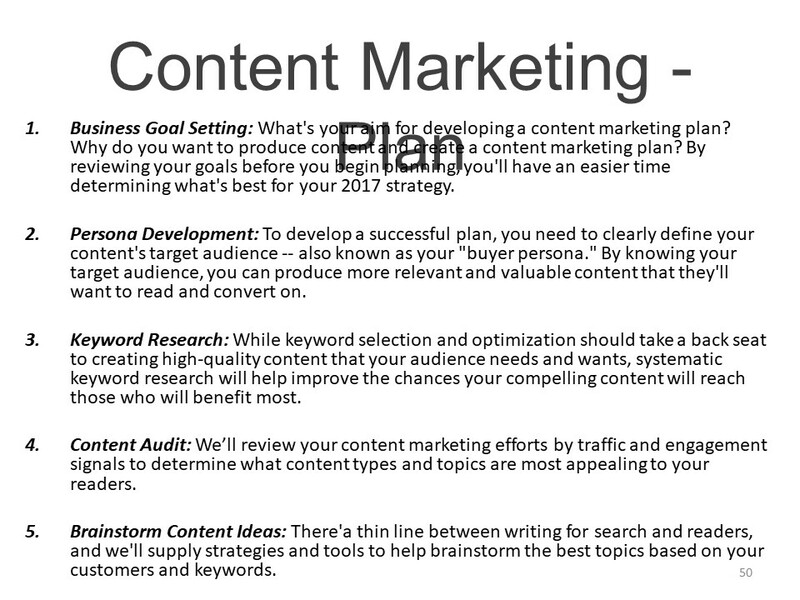 Business Goal Setting: What’s your aim for developing a content marketing plan? 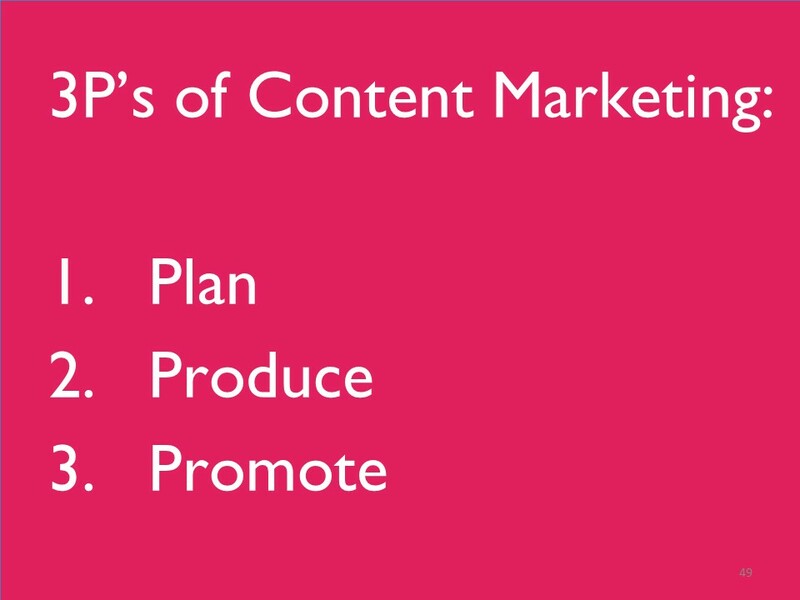 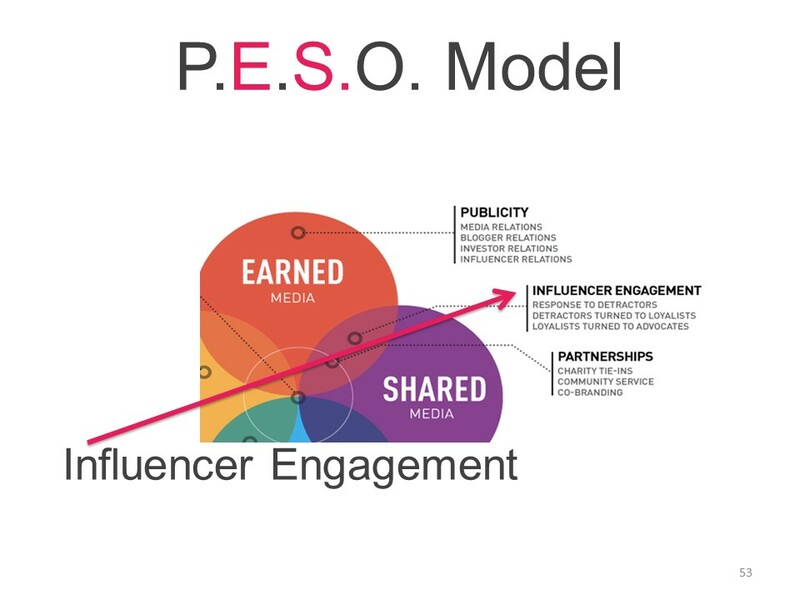 Why do you want to produce content and create a content marketing plan? 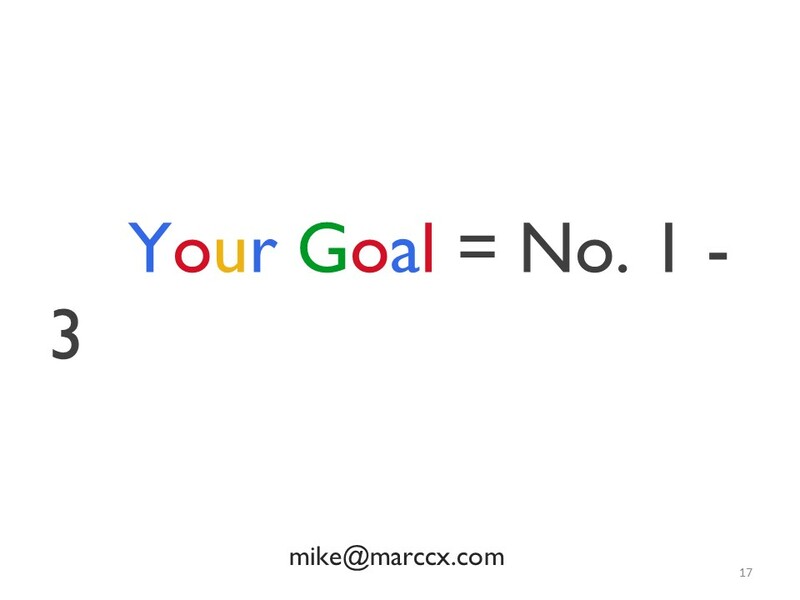 By reviewing your goals before you begin planning you’ll have an easier time determining what’s best for your strategy. 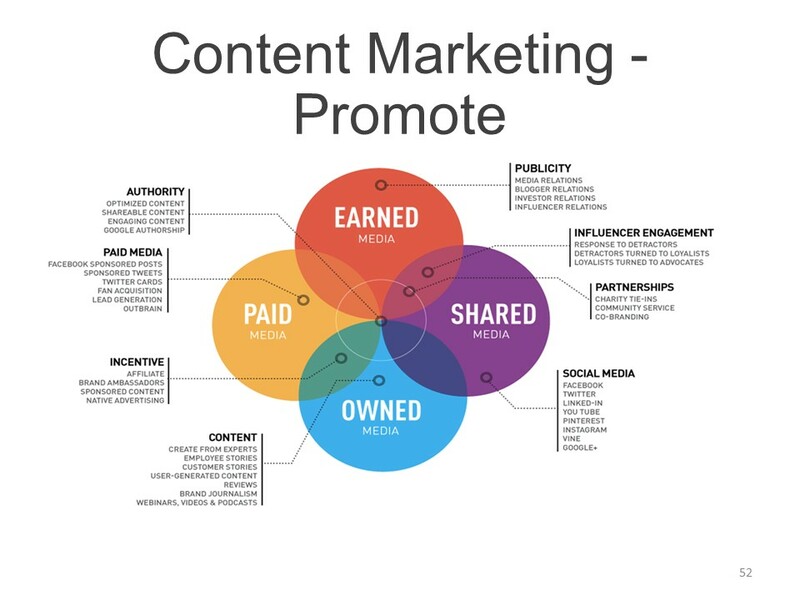 Persona Development: To develop a successful plan, you need to clearly define your content’s target audience – also known as your “buyer persona”. 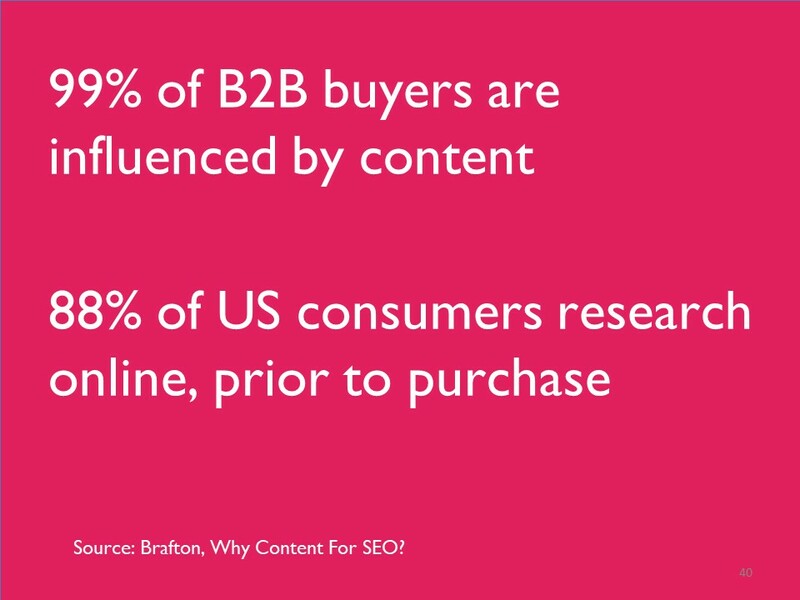 By knowing your target audience, you can produce more relevant and valuable content that they’ll want to read and convert on. 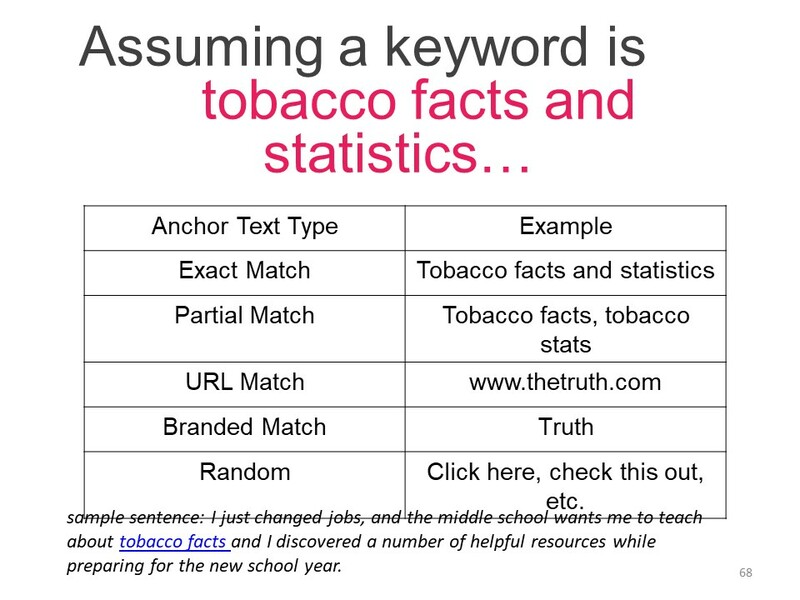 Keyword Research: While keyword selection and optimization should take a back seat to creating high-quality content that your audience needs and wants, systematic keyword research will help improve the chances your compelling content will reach those who will benefit most. 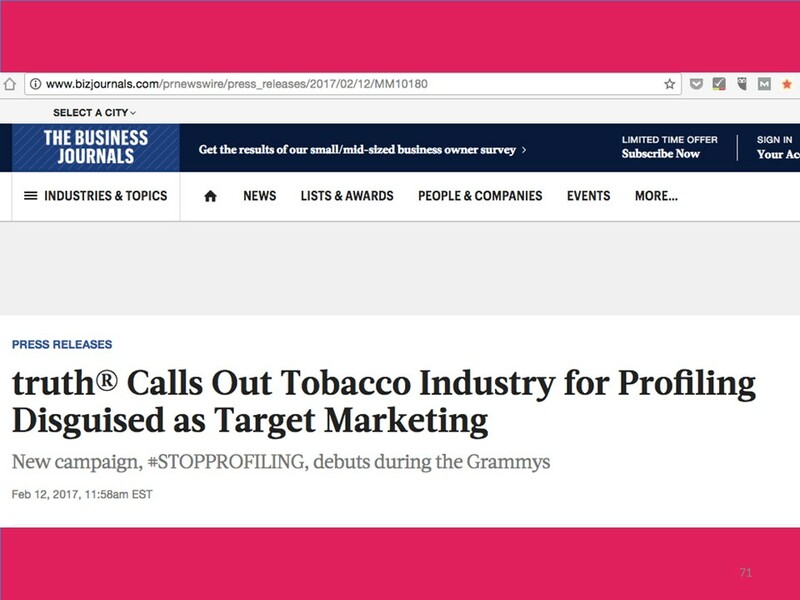 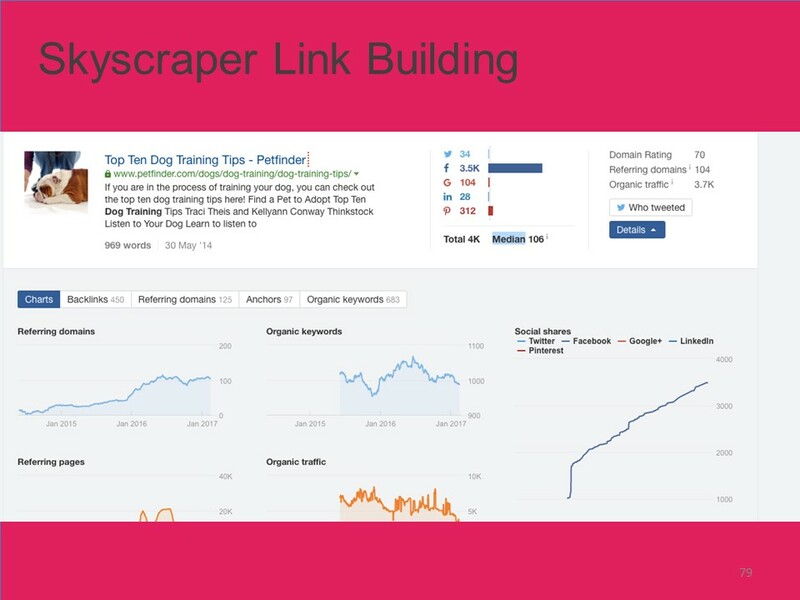 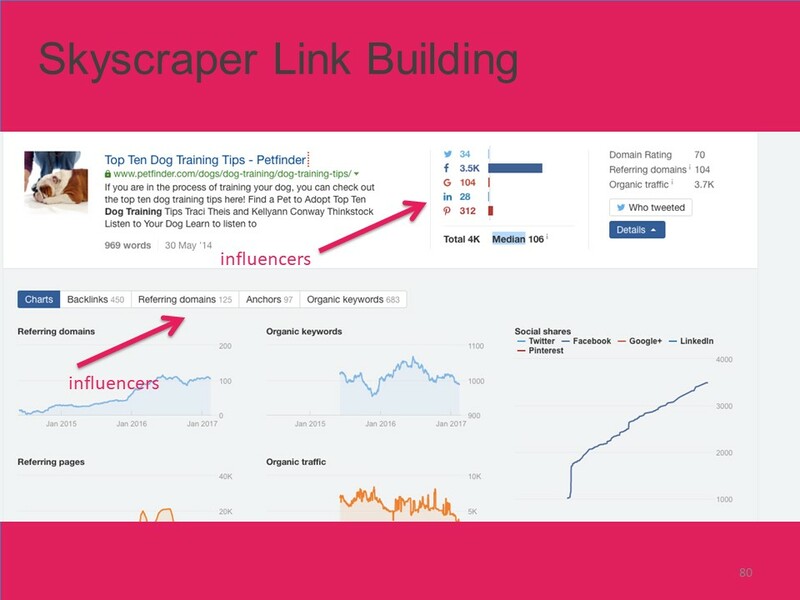 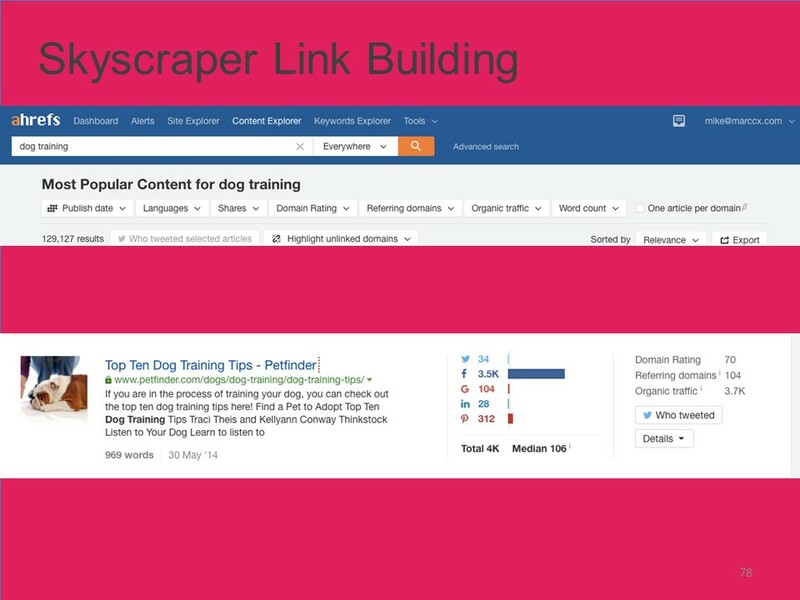 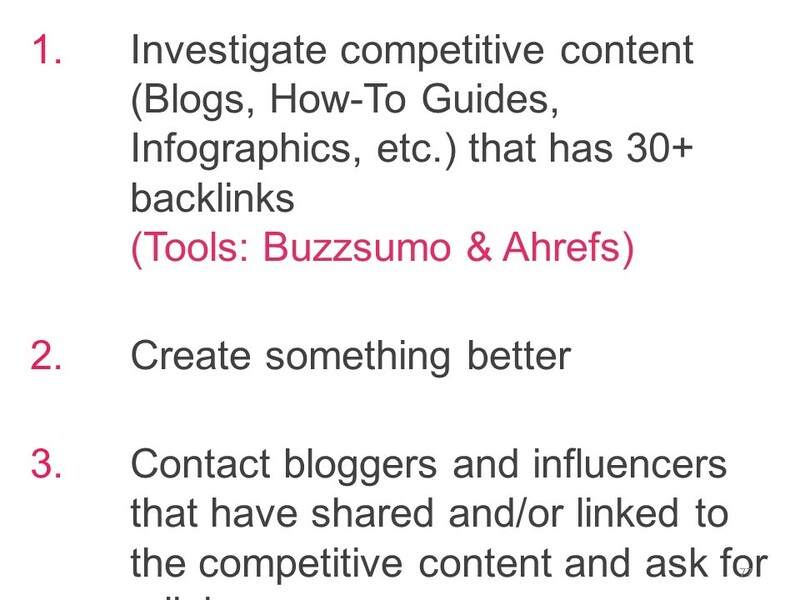 Content Audit: Review your content marketing efforts by traffic and engagement signals to determine what content types and topics are most appealing to your readers. 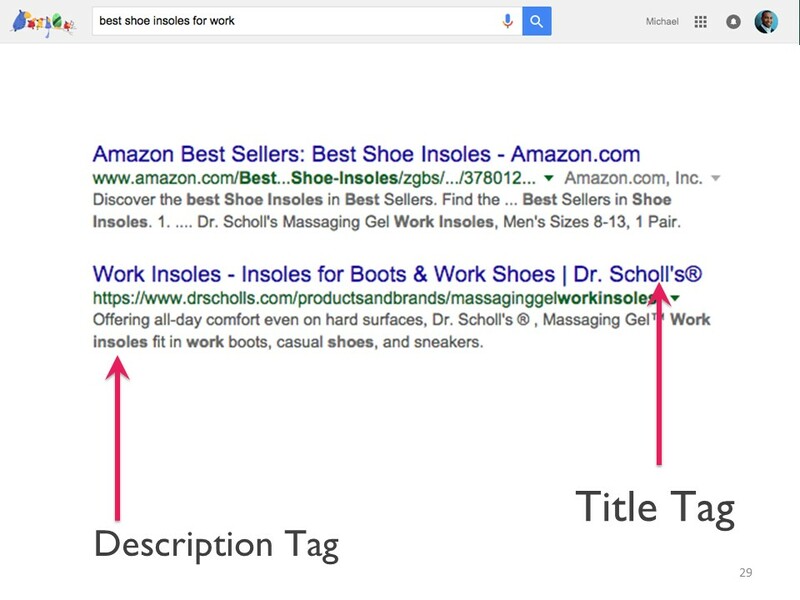 Brainstorm Content Ideas: There’s a thin line between writing for search and readers. 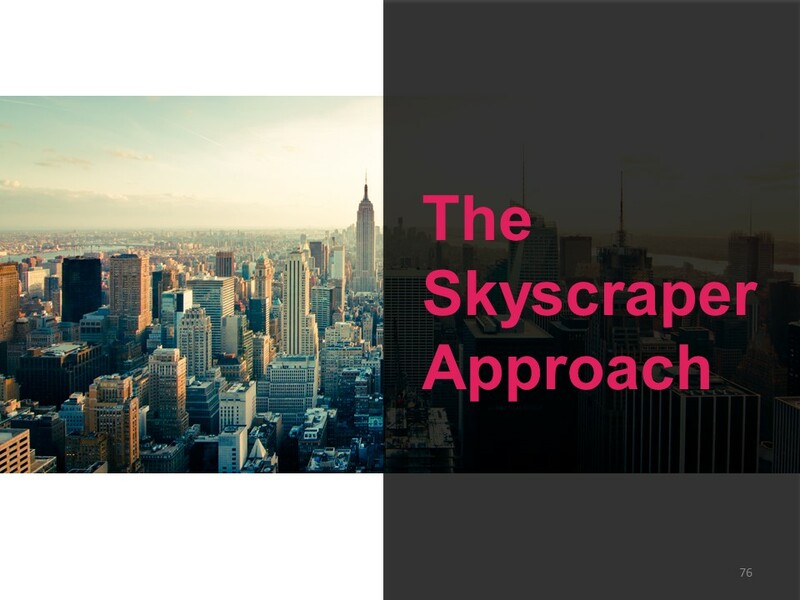 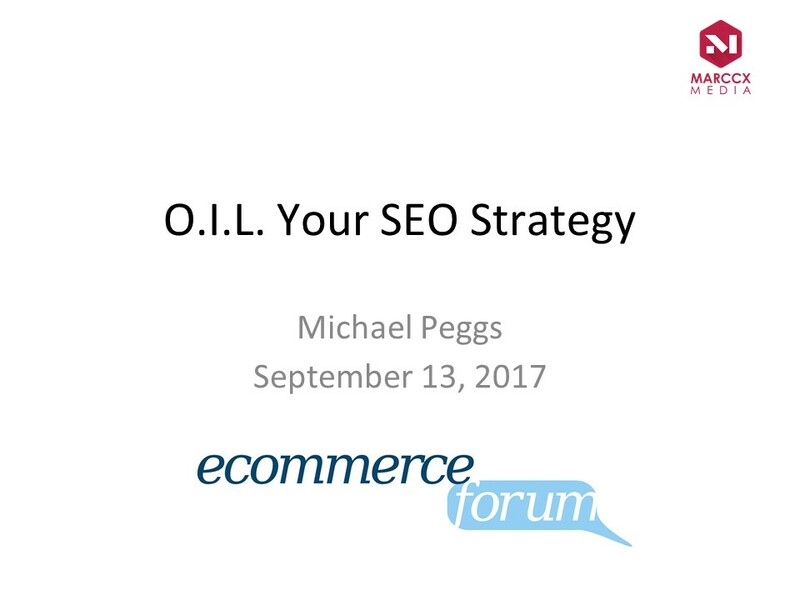 Develop strategies and use tools to help brainstorm the best topics based on your customers and keywords. 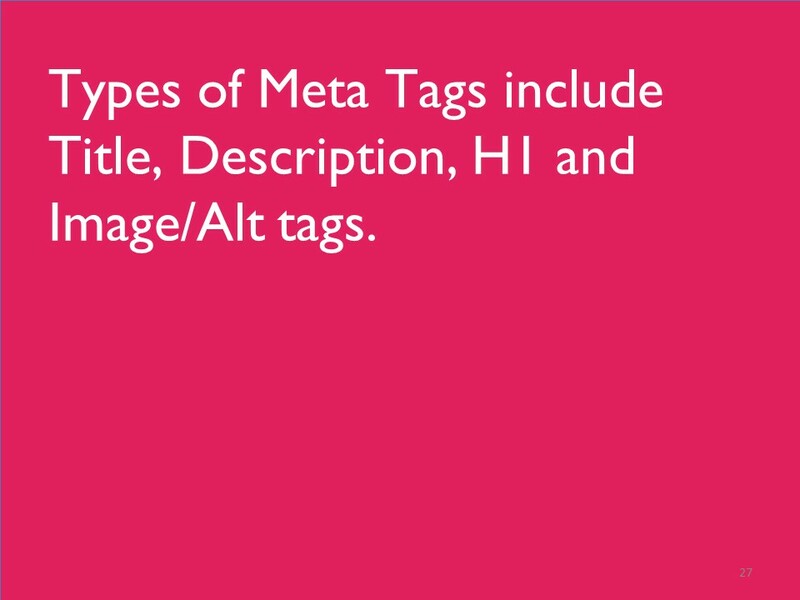 Content Types: There are a variety of content options including blog posts, eBooks, infographics, videos, whitepapers and webinars. 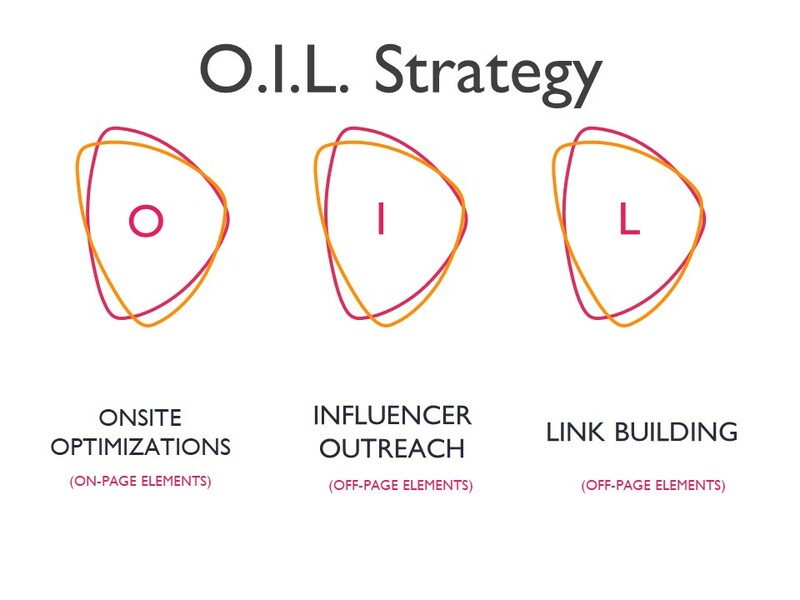 Choose the optimal content types taking into consideration past performance, business goals and customer personas. 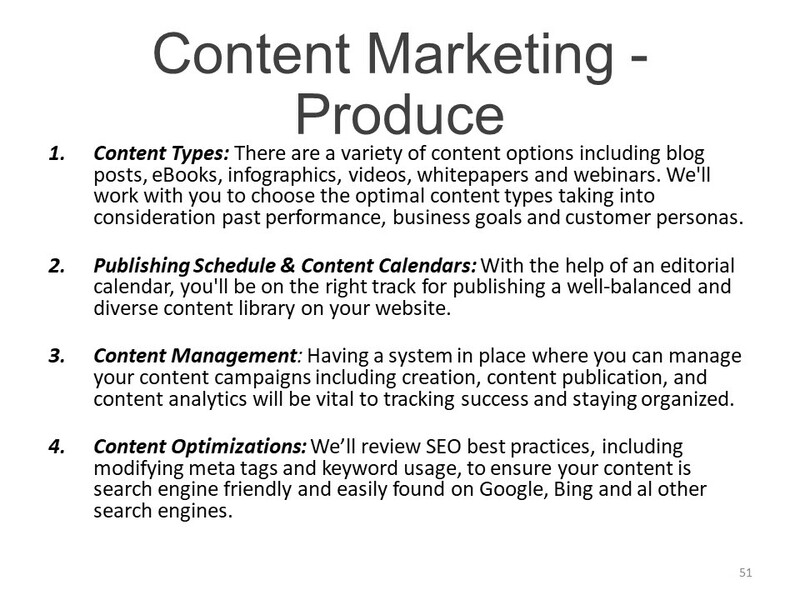 Publishing Schedule & Content Calendars: With the help of an editorial calendar, you’ll be on the right track for publishing a well-balanced and diverse content library on your website. 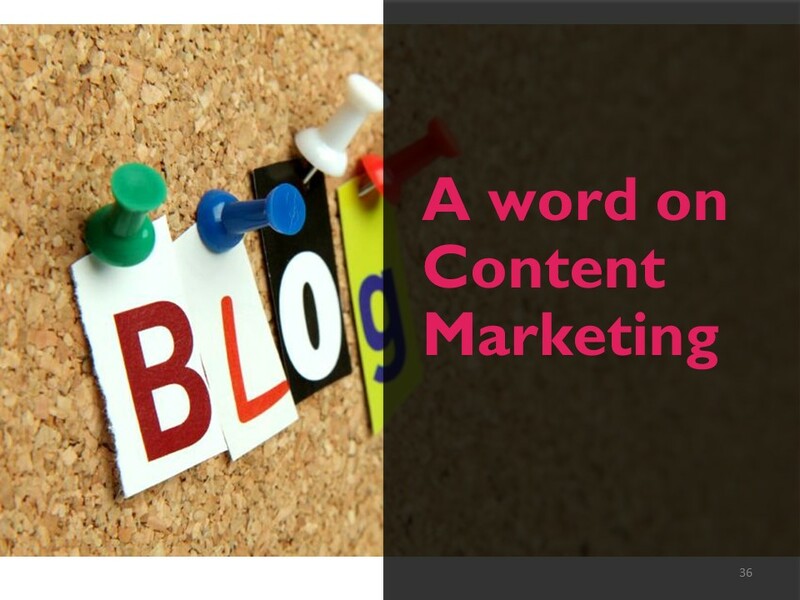 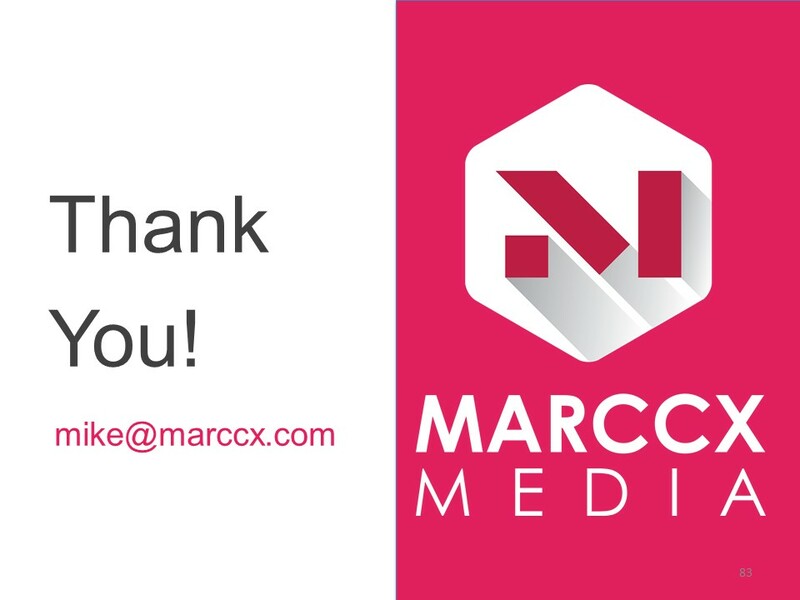 Content Management: Having a system in place where you can manage your content campaigns including creation, content publication, and content analytics will be vital to tracking success and staying organized. 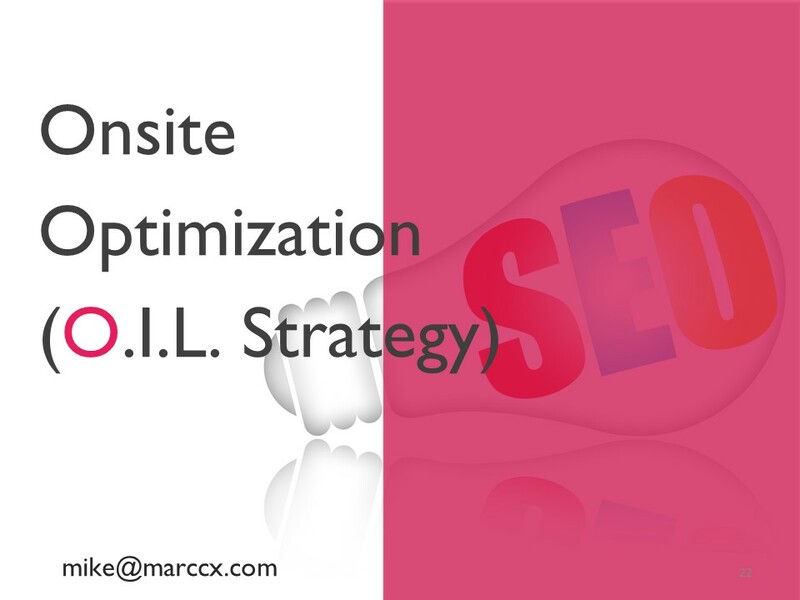 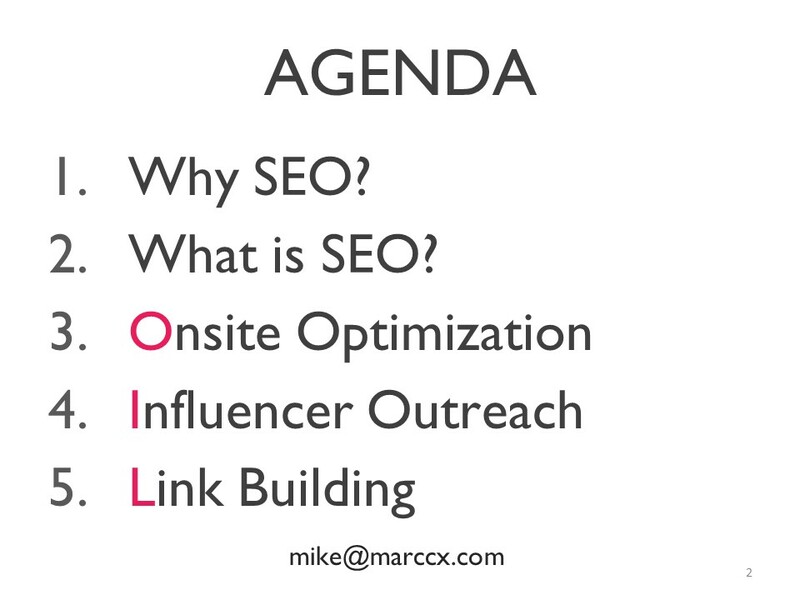 Content Optimizations: We’ll review SEO best practices, including modifying meta tags and keyword usage, to ensure your content is search engine friendly and easily found on Google, Bing and all other search engines. 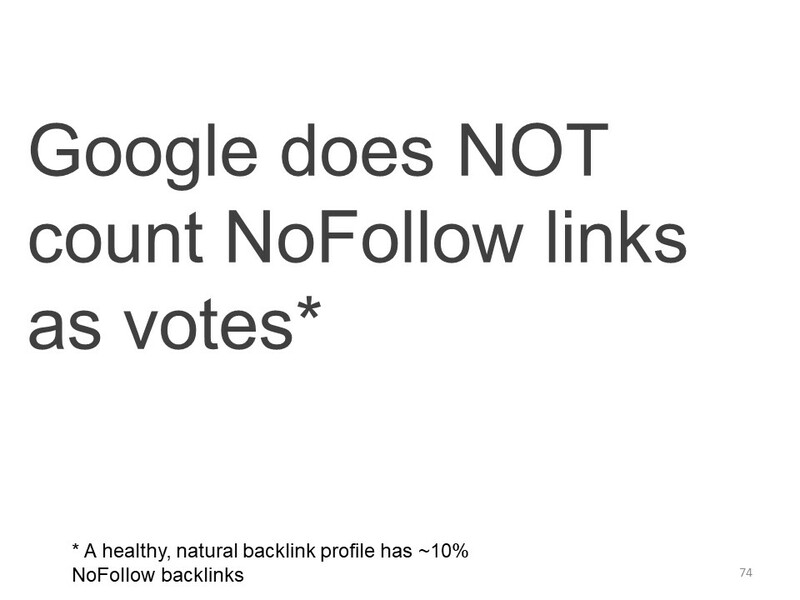 Links to your website act like votes. 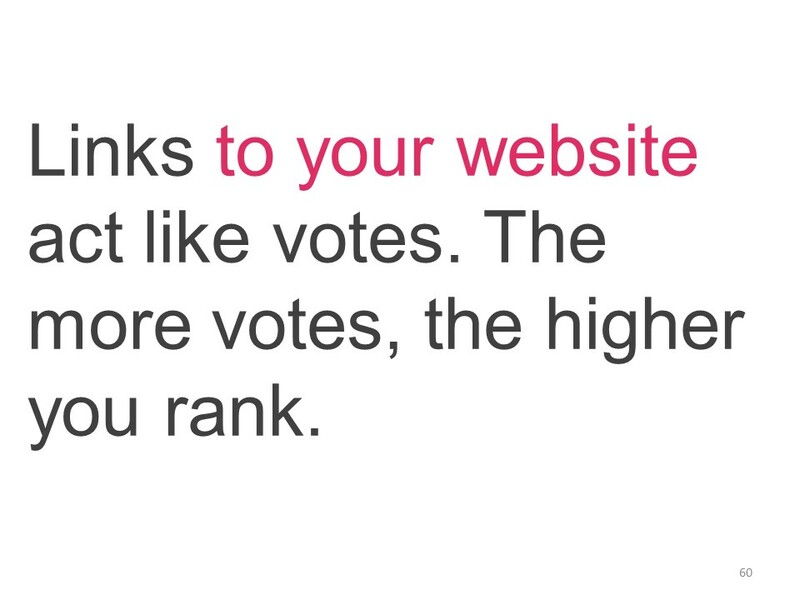 The more votes, the higher you rank. 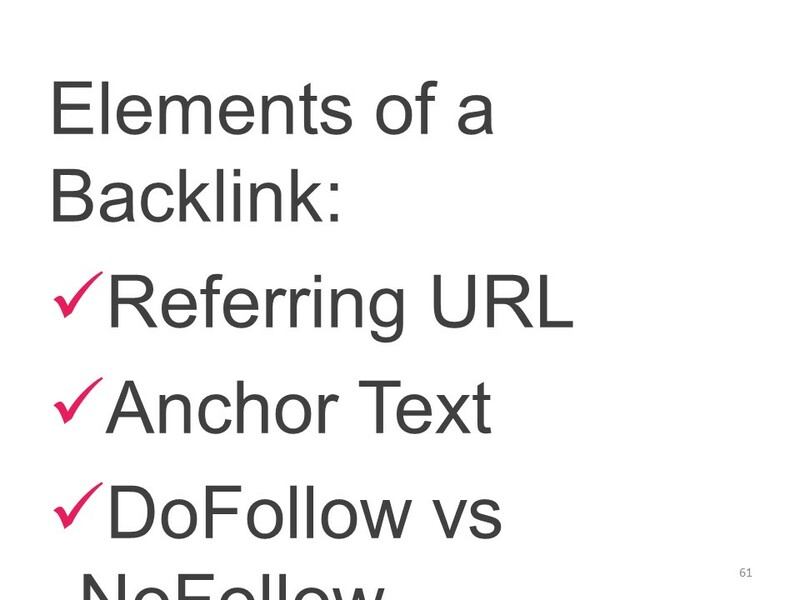 Anchor text is the clickable text in a hyperlink. 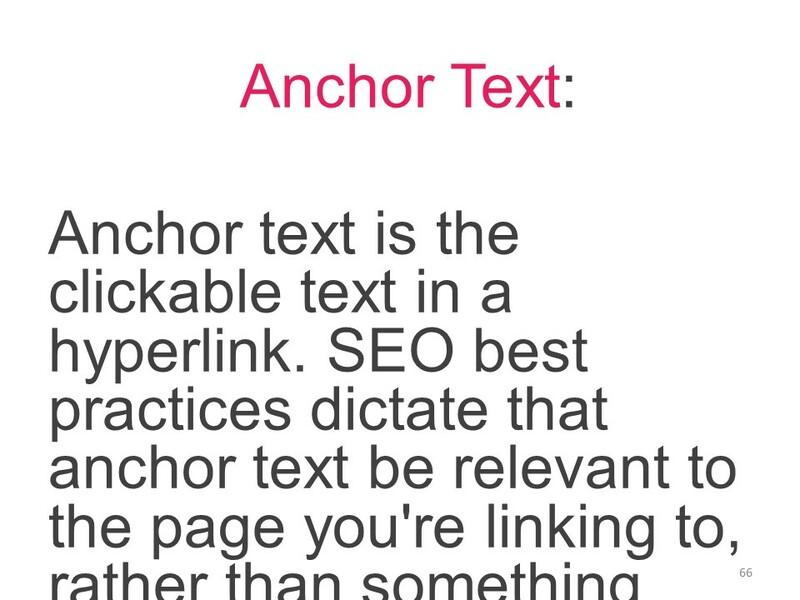 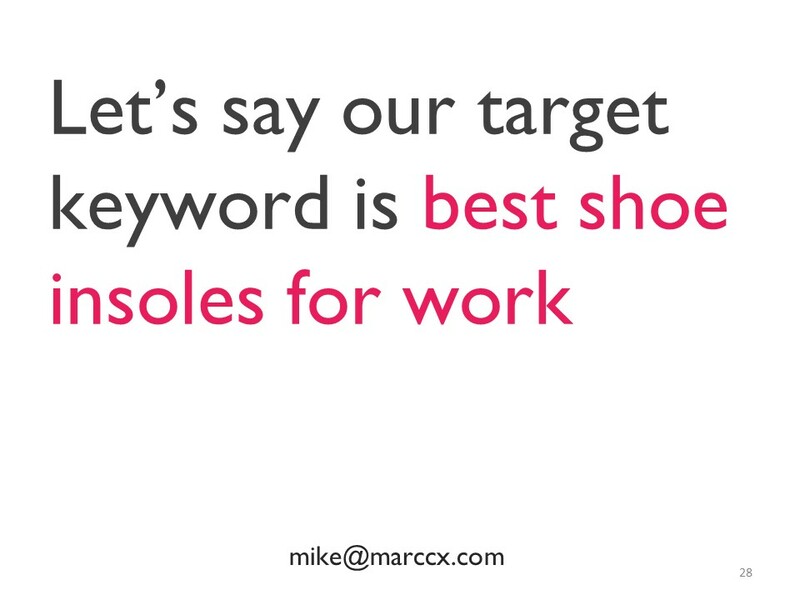 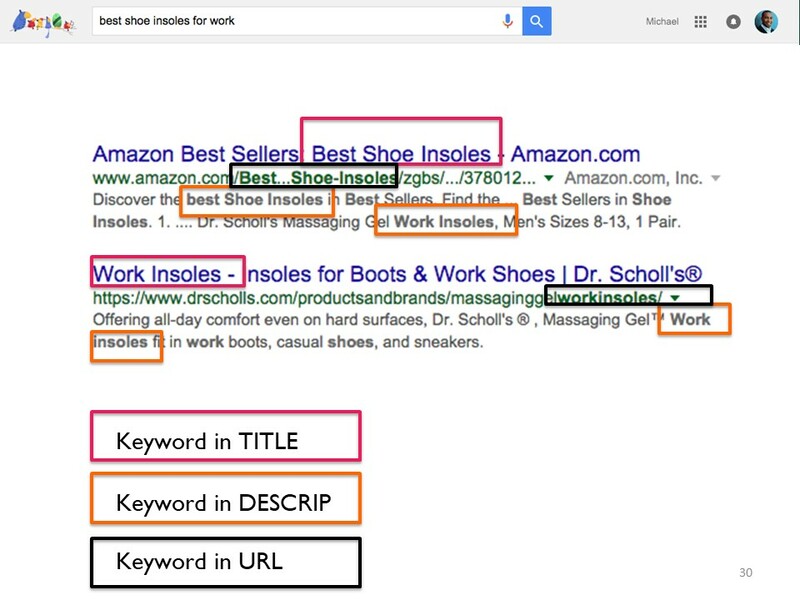 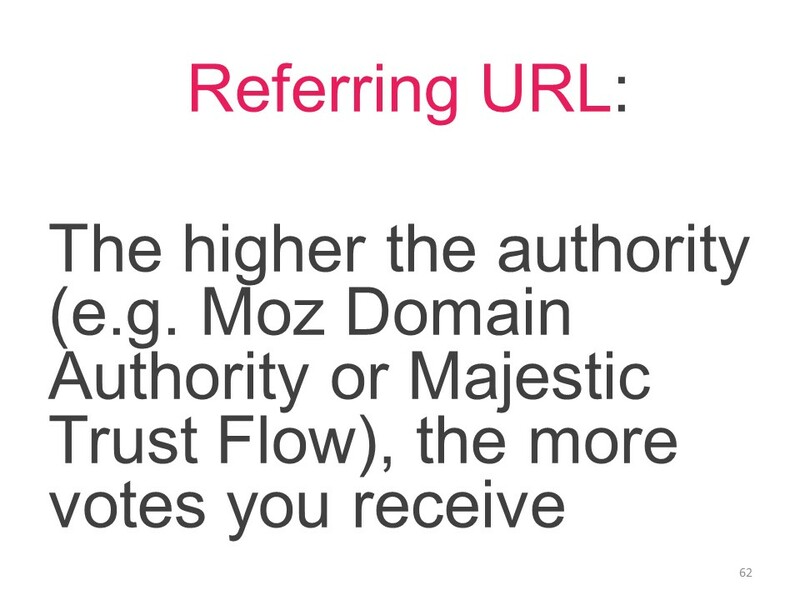 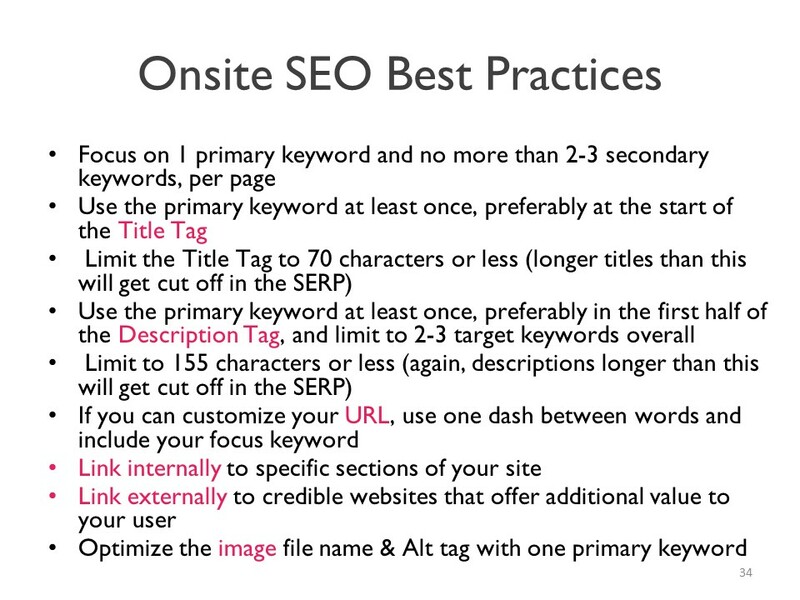 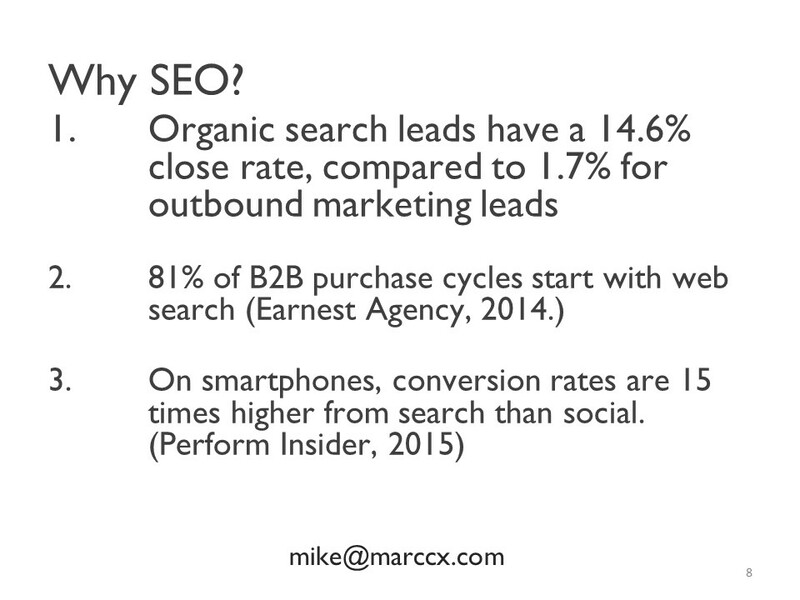 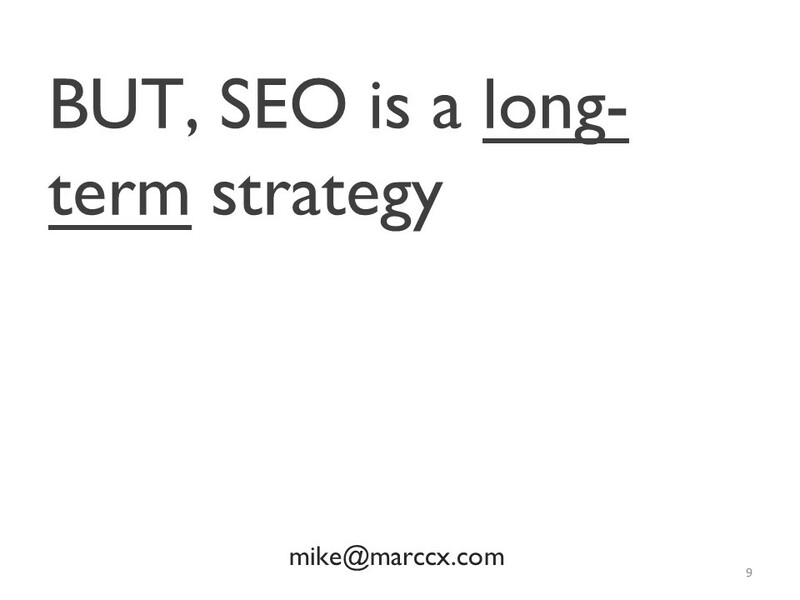 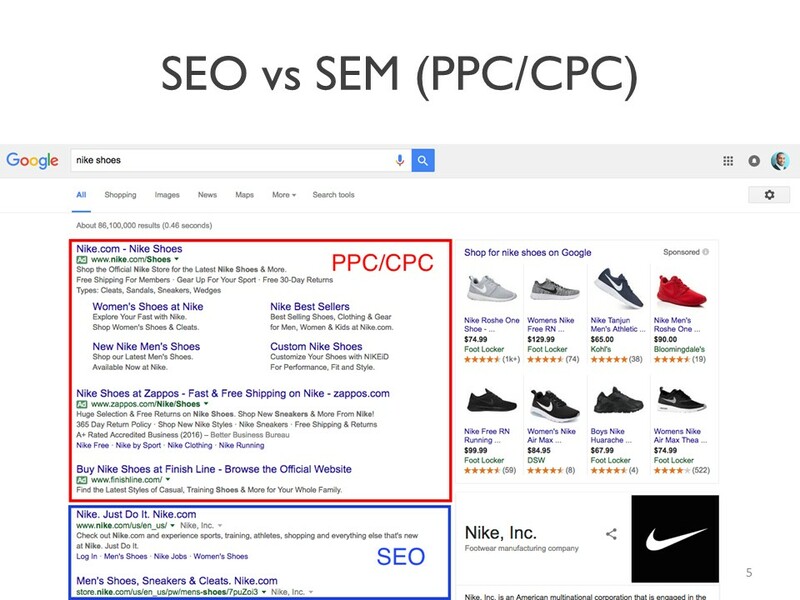 SEO best practices dictate that anchor text be relevant to the page you’re linking to, rather than something generic. 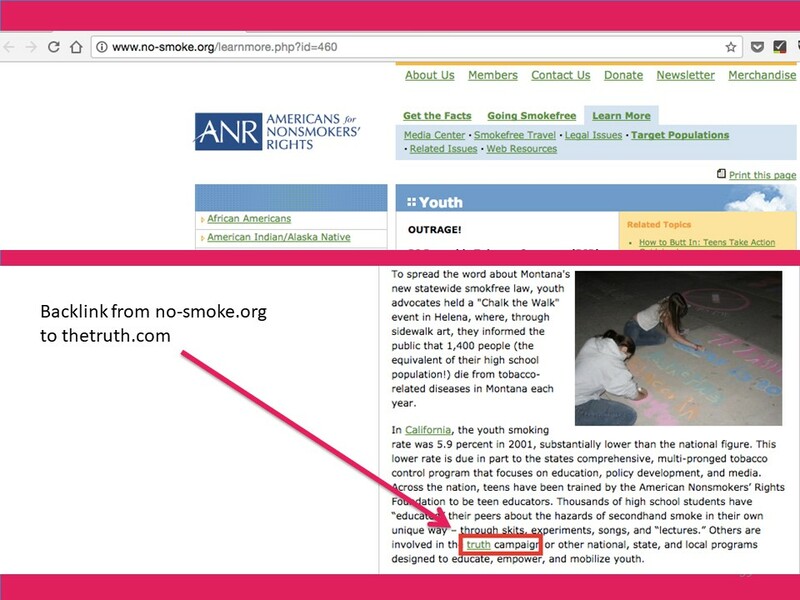 Random | Click here, check this out, etc. 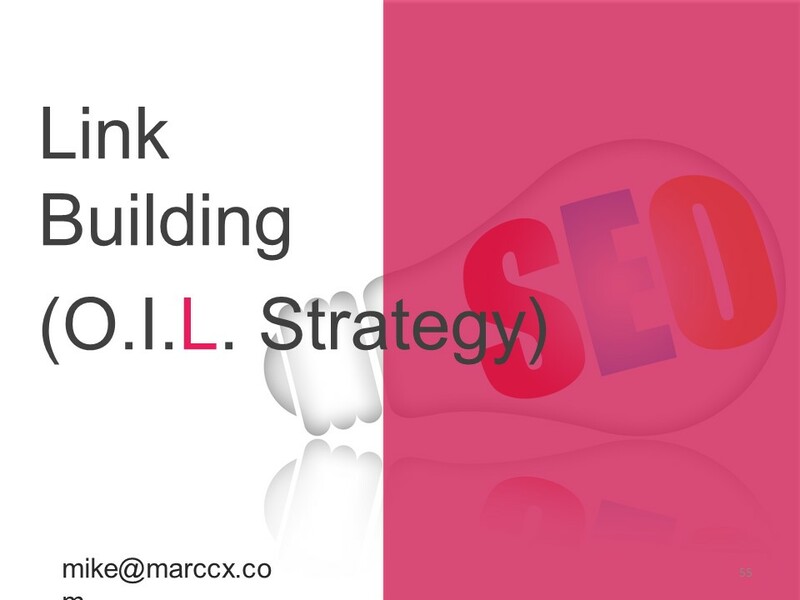 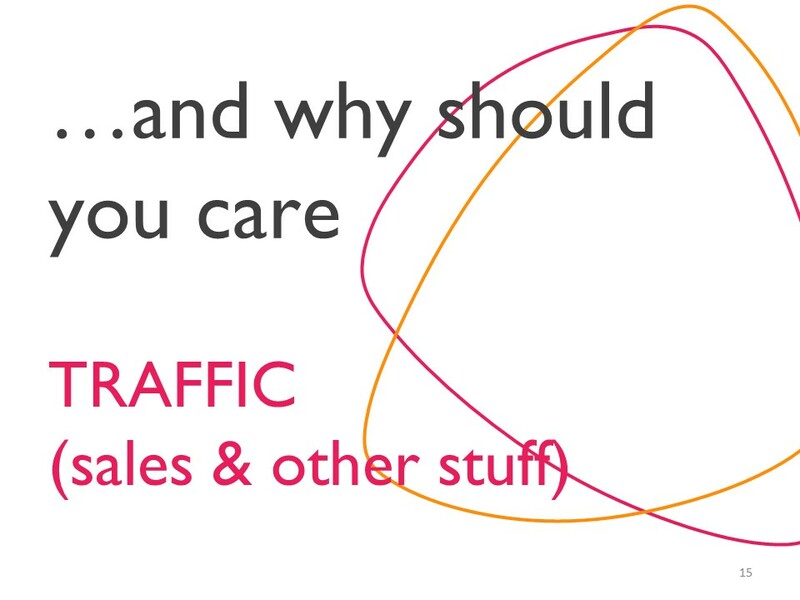 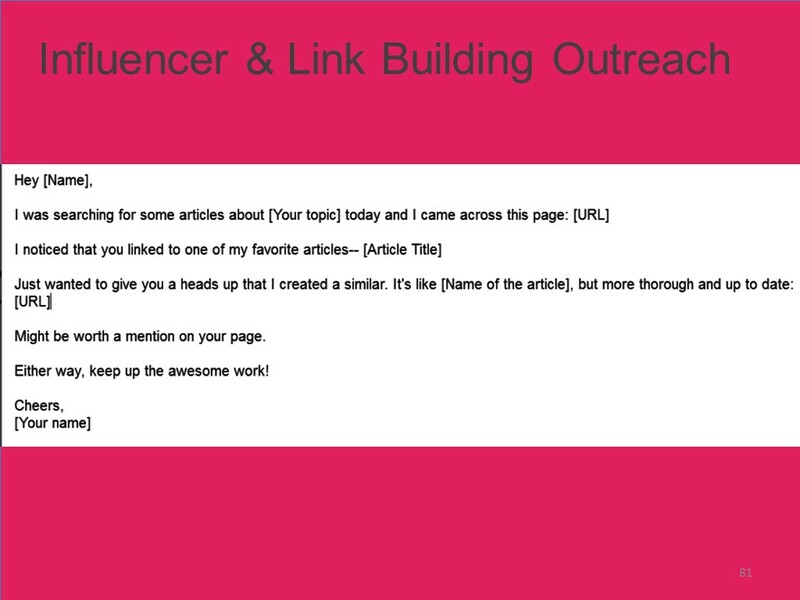 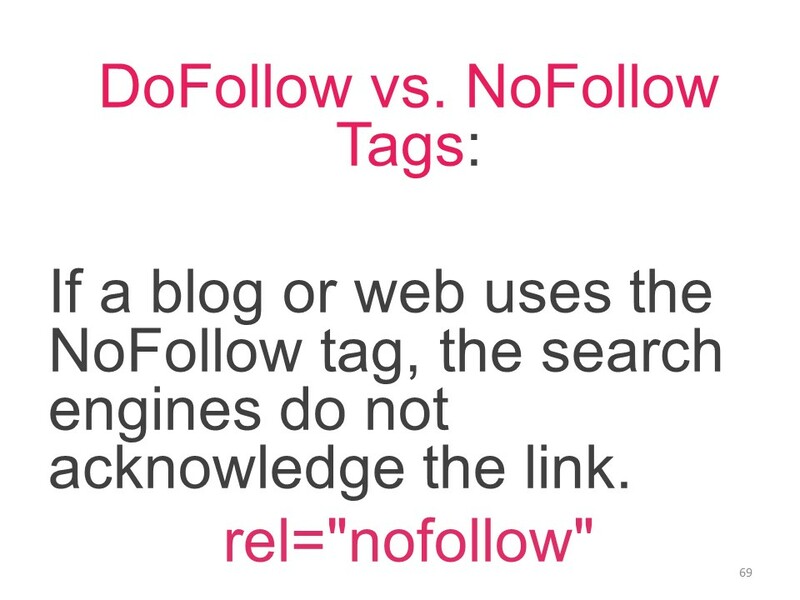 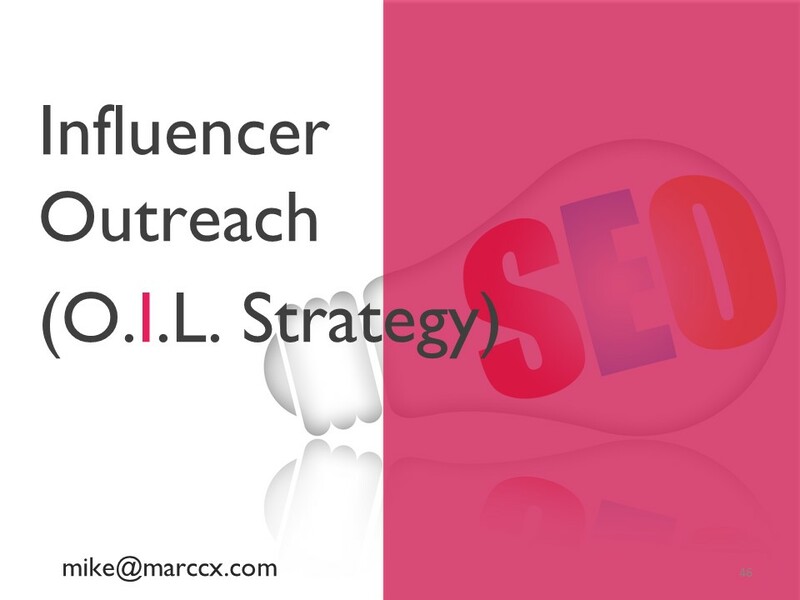 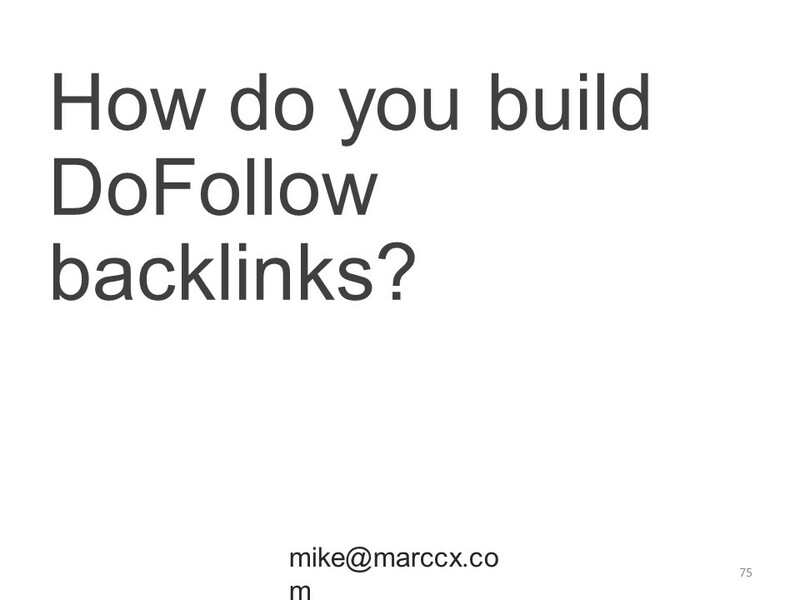 How do you build DoFollow backlinks?